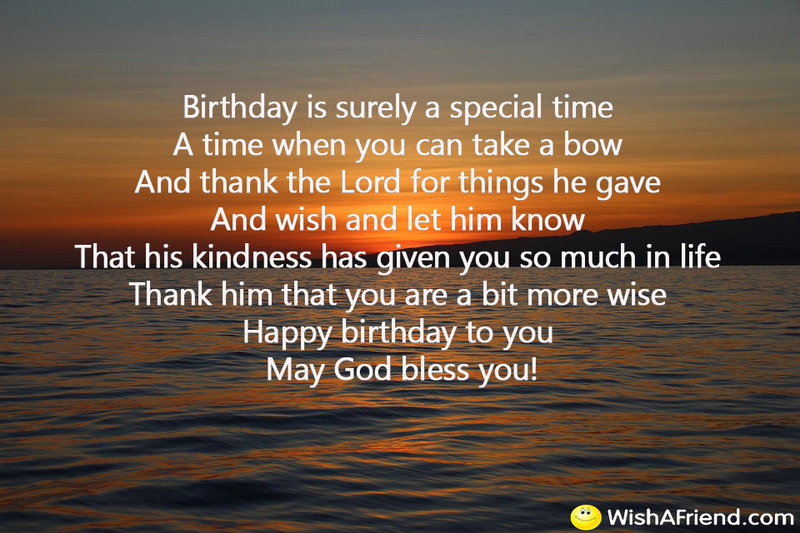 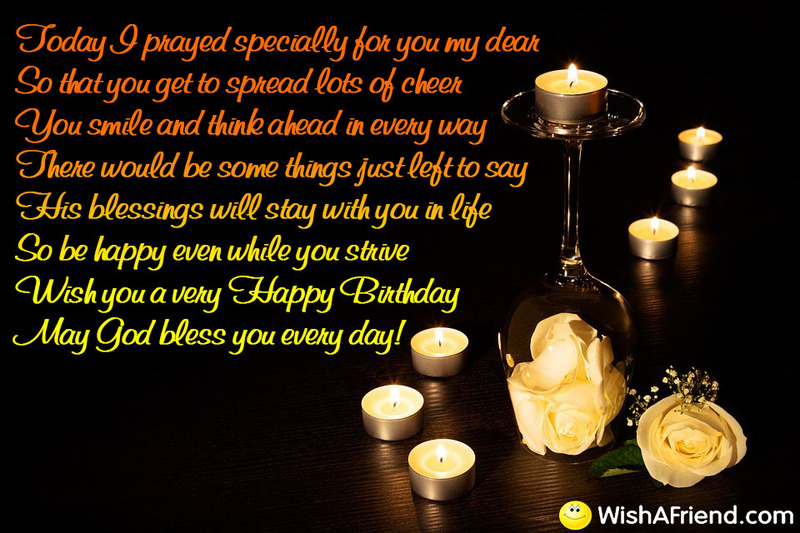 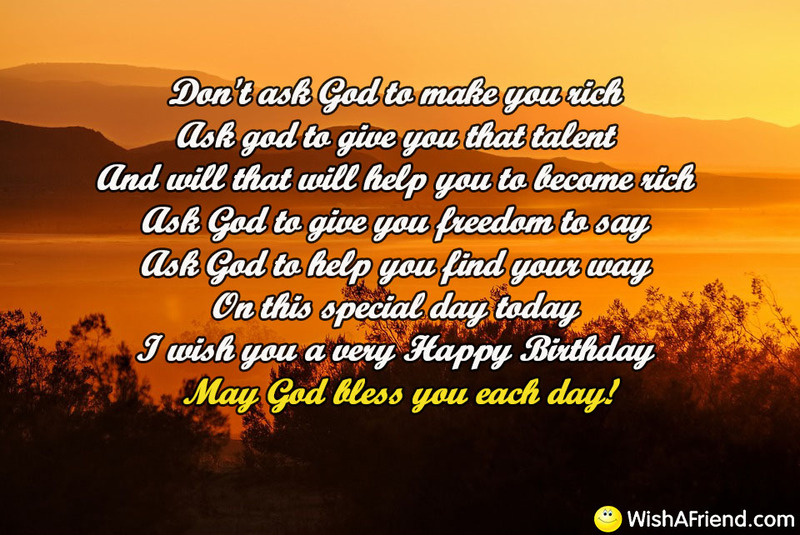 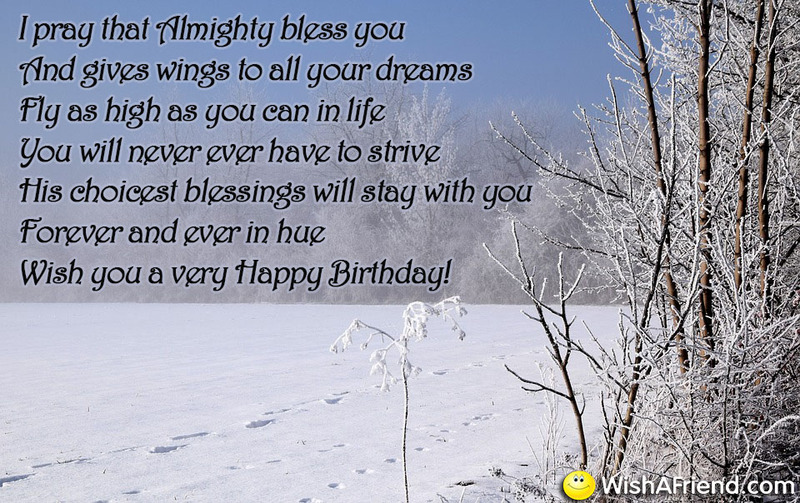 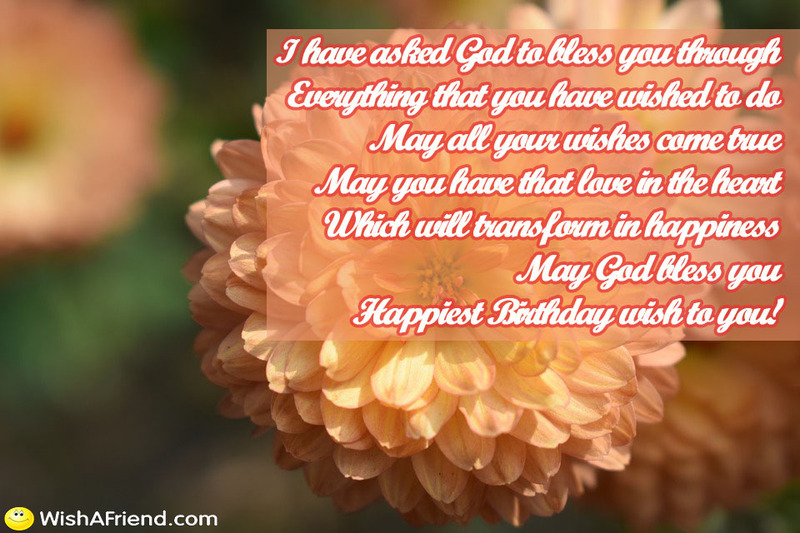 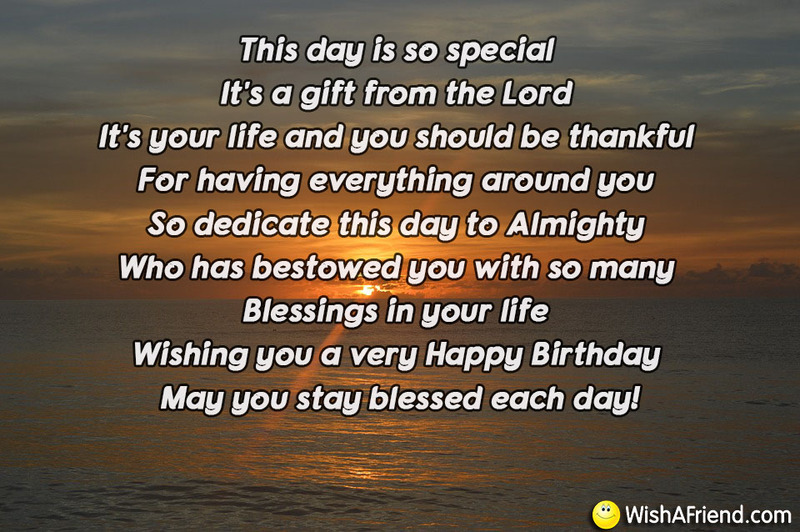 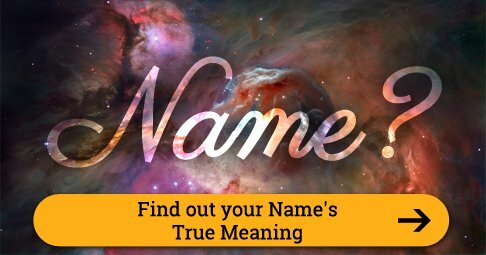 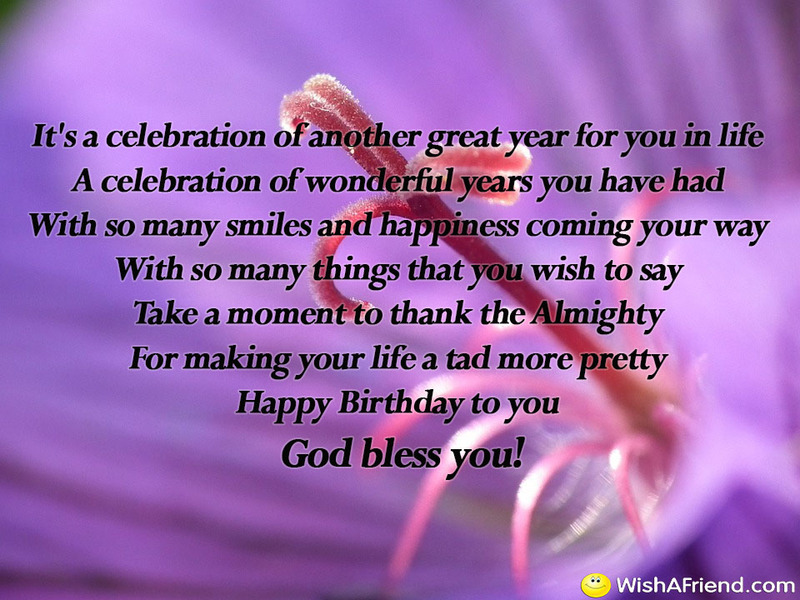 Need religious birthday quotes to send to someone special on their birthday? 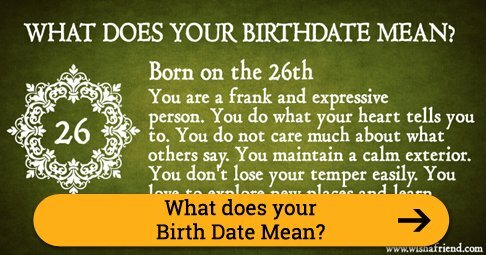 Choose any from the ones mentioned below. 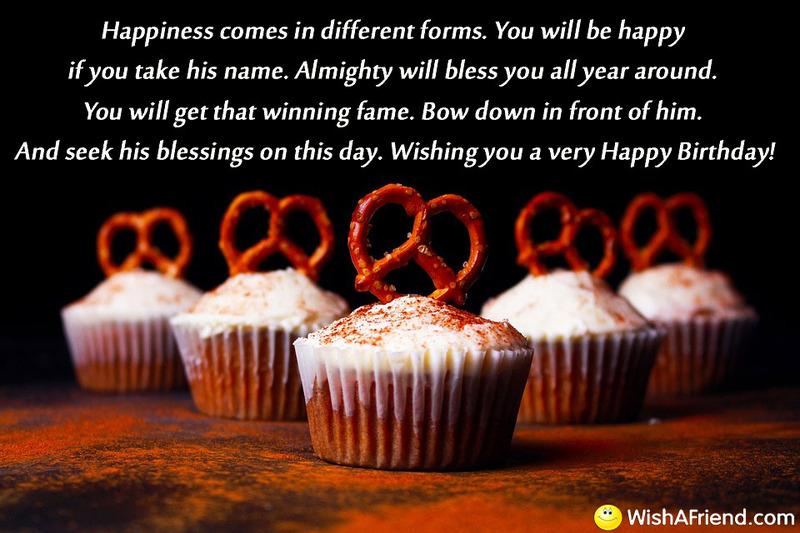 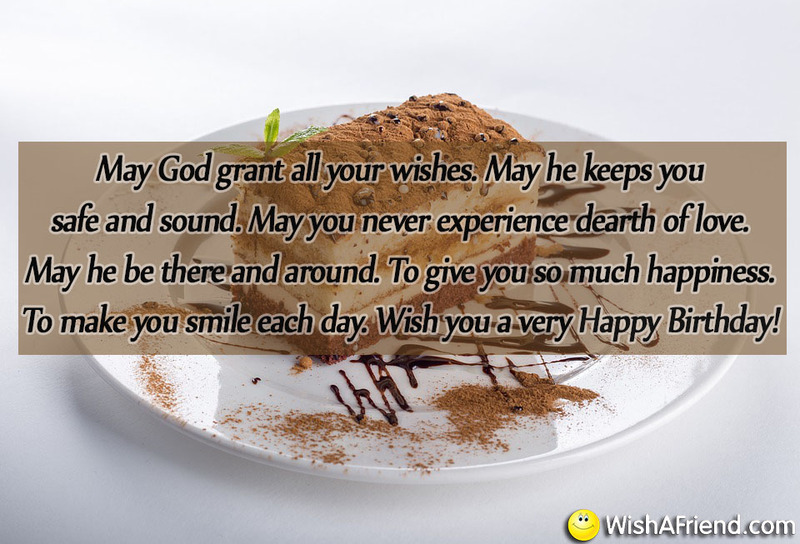 Share these Religious birthday quotes with your friends via Text/SMS, email, Facebook,Whatsapp,IM, etc. 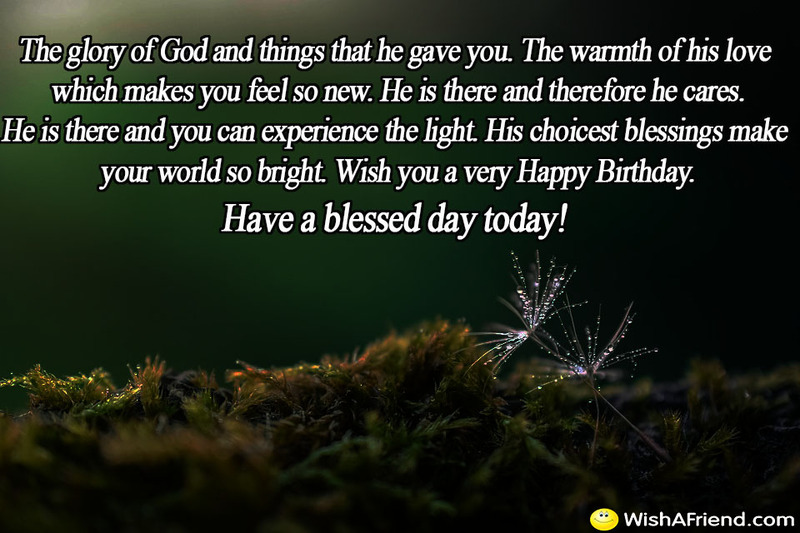 May God bless you each day! 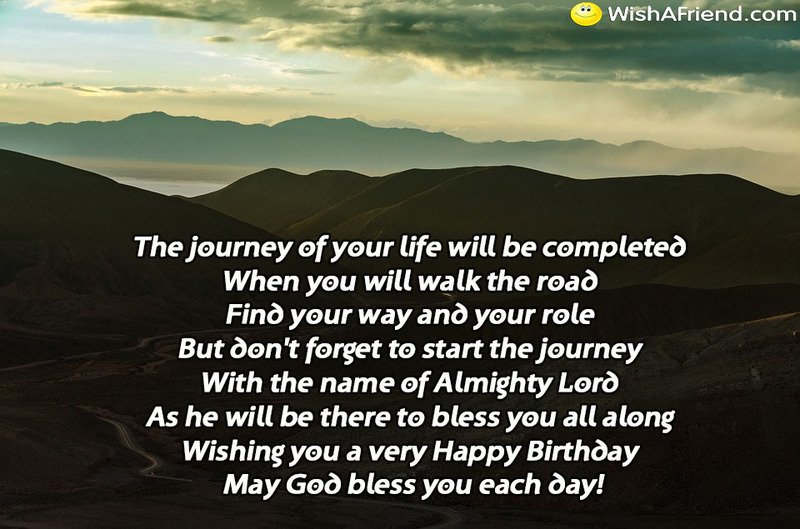 May you stay blessed each day! 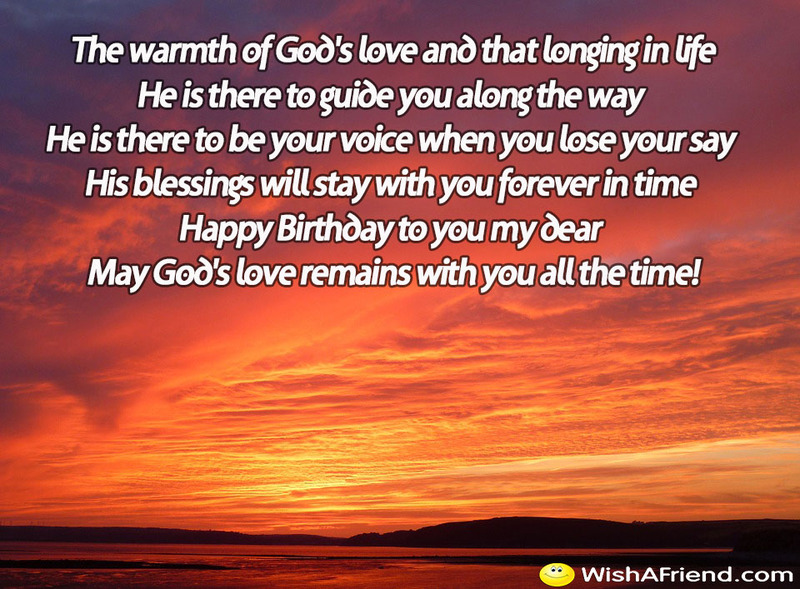 May God's love with you remains with you all the time! 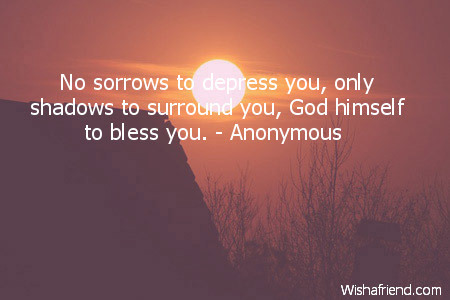 No sorrows to depress you, only shadows to surround you, God himself to bless you. 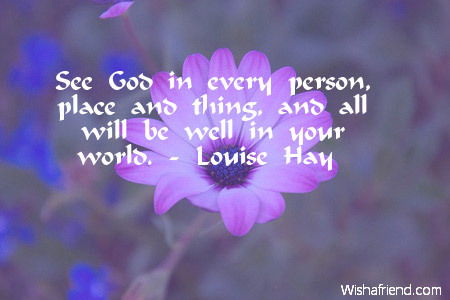 See God in every person, place and thing, and all will be well in your world. 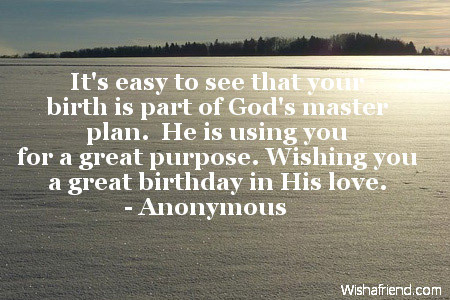 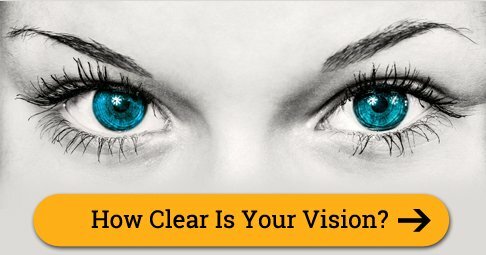 It's easy to see that your birth is part of God's master plan. 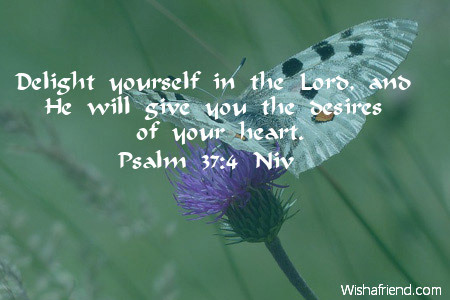 He is using you for a great purpose. 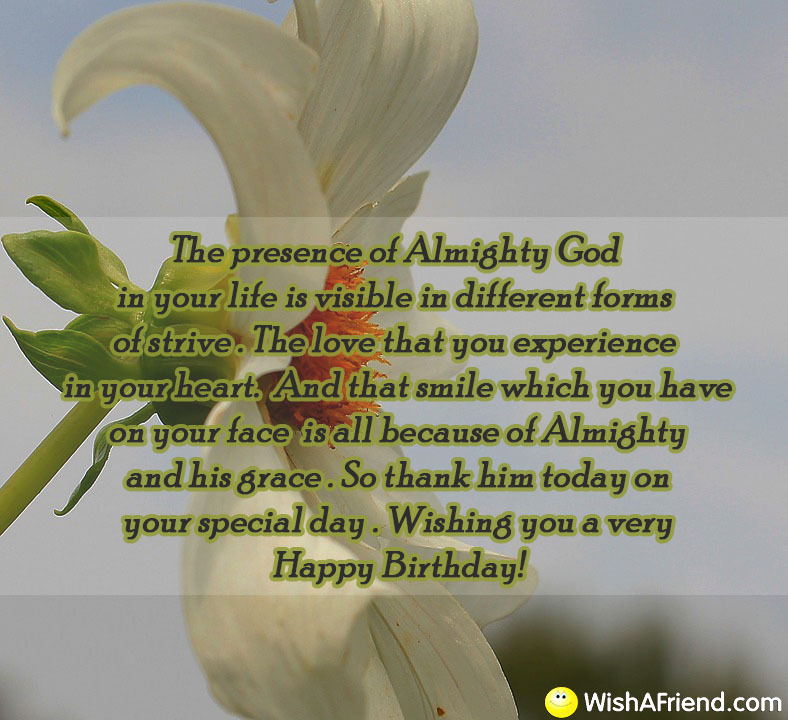 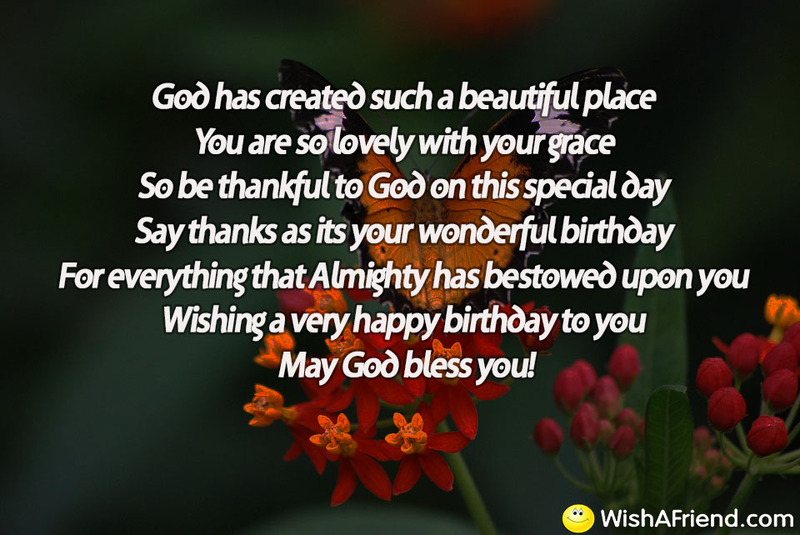 Wishing you a great birthday in His love.